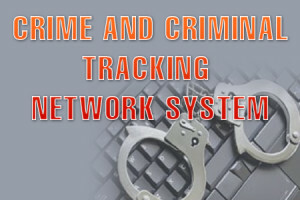 In a move to bring together database of the security organisations, over 11,000 police stations, out of a total of 14,324, have fully rolled out Criminal Tracking Network System (CCTNS). Andhra Pradesh, Delhi, Gujarat, Haryana, Karnataka, Tamil Nadu, Telangana and Uttar Pradesh are some of the States that are using CCTNS software for registration of FIRs. At a national seminar to analyse the implementation status of the project and make it better, these facts were highlighted. According to an official statement, implementation of projects is currently held up in Bihar and Rajasthan due to cancellation of the contract with vendors. The State Government officers handling the CCTNS project, Director General of Prison of States, professionals from IT companies and consulting firms working on this project and National Informatics Centre were a part of the seminar. After the terror attacks in Mumbai in the year 2008, the CCTNS project was conceived by the former Home Minister, P Chidambaram.